We are very excited to announce the launch of the new Widow Maker Industries website. It’s much more user friendly than our original site and it looks a lot cooler too (at least we think so). 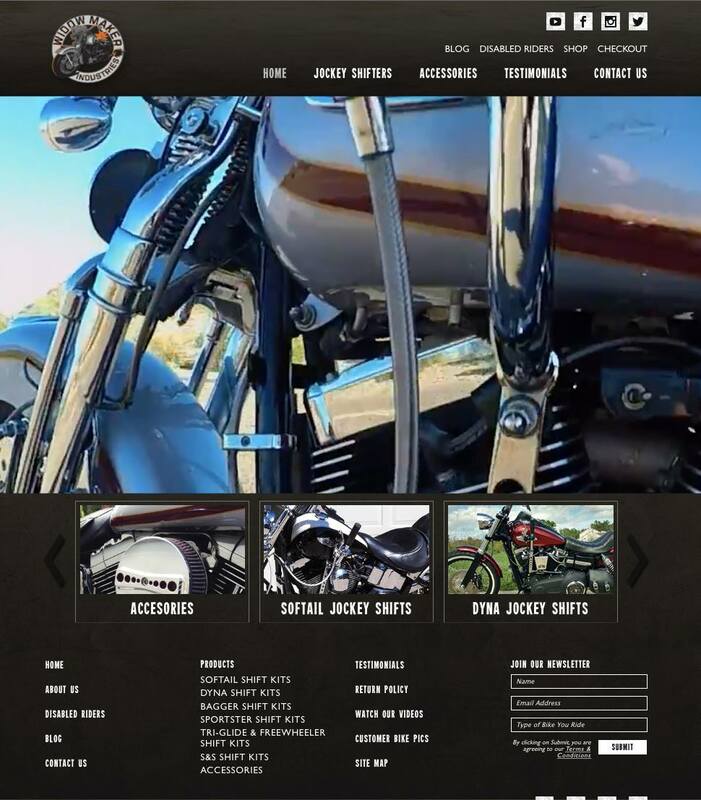 Plus, it’s now responsive for viewing and ordering products on your smart phones. Please take a look at our new site at www.widowmakerindustries.com and let us know what you think. Attached is a screen shot of the home page. Plus, we’re launching a couple of new products in June (possibly sooner). We’ve designed a Jockey Shift for the 2017 Bagger models with the new Milwaukee Eight motors! We are also in the process of developing a Jockey Shift for the Indian Chiefs! The kit will really enhance the nostalgic look of the new Indians. We continue to get daily “likes” and messages on our Facebook page. Please spread the word and thank you for your continued support.